Gorgeous! This beauty, sitting on a large corner lot in the Nunez area, is ready to go! With a long-lasting metallic roof, 4 bedrooms, 2 large bathrooms, a large utility room loaded with cabinets, and plenty character, it's sure to impress! The master suite is MASSIVE, with a large bathroom and a huge walk-in closet! The kitchen has plenty counterspace and stainless appliances. The backyard is very spacious, with a large covered patio, above-ground pool, and TWO storage buildings, surrounded by privacy fencing. This place is one of a kind! 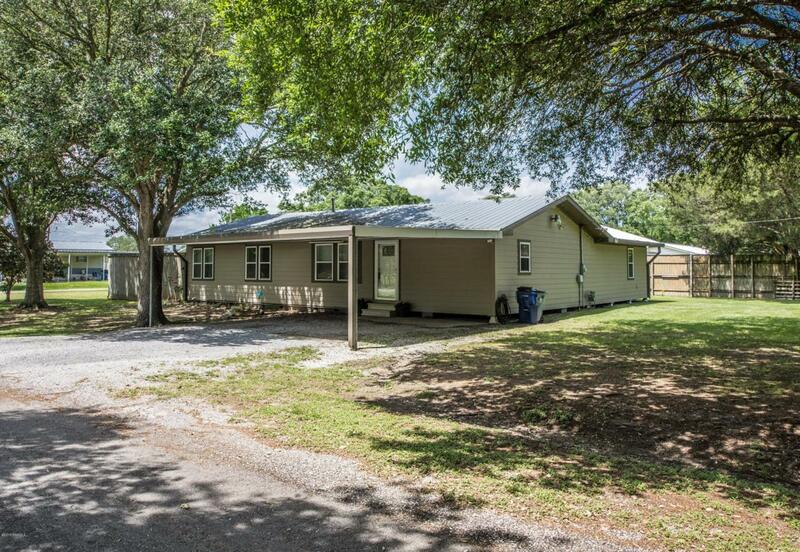 **This property may qualify for 100% financing with the RD (Rural Development) Loan Program** HOME DID NOT FLOOD, and is NOT located in flood zone! Come and get it!